Students discuss panels at The Big Smoke exhibit. This past year, I've had opportunities to cover a wide range of poetry with students. The young black men in my courses have been particularly important for extending the conversations in multiple directions. Those young men, more than others, are inclined to talk to me about poetry and rap, so our discussions possess an elasticity concerning wordplay that stretches from Dunbar and Baraka to Diddy and Big K.R.I.T. 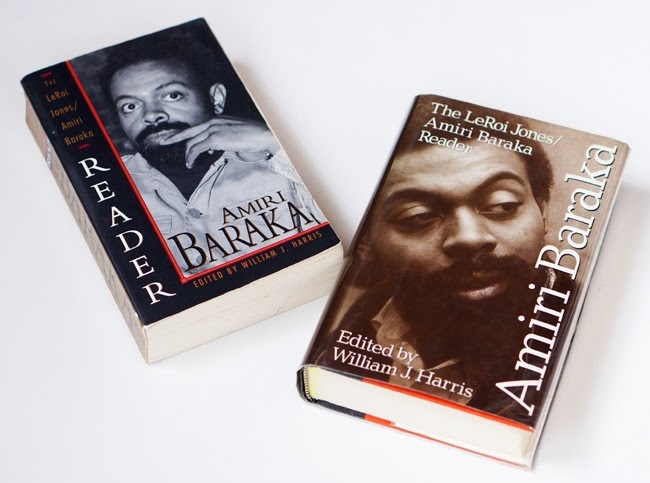 As far as poets, in addition to checking out works by Dunbar and Baraka, we covered poems by Langston Hughes, Robert Hayden, Tyehimba Jess, Lucille Clifton, June Jordan, Kevin Young, Cornelius Eady, Gary Copeland Lilley, and Nikki Giovanni, among others. In a couple of my classes over the past year, we also utilized Lit. Genius, the crowd-sourced annotation site, to analyze and notate poems. I suspect that many of the guys were willing to engage me on the poetry because I was willing to engage them on rap. At best, I suppose, I gave them concepts linked to African American critical discourses that they could utilize to describe what they were hearing in rap. In turn, they assisted me in updating my knowledge of who's new in rap. They also gave me a clearer sense of how young guys (between 18 and 21 years old) respond to black poetry. By the way, out in the world, folks spent energy making the case that rap is poetry. I was one of those folks. As we read Jay Z's Decoded, we noted that he was one of those folks. But now, as I reflect on my conversations with all these young men over the last year, I began to wonder. Our shifts when discussing the verbal art of Hughes as opposed to Biggie seemed to shape our understanding of the art forms. This past year, building on a conversation that I've had with students in prior years, I continued discussing representations of "bad men" in poetry. 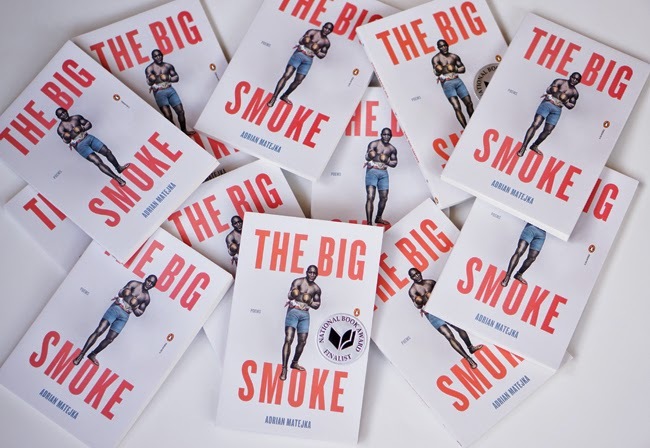 Most notably, I participated in an online reading group from September through December with approximately 50 collegiate black men related to Adrian Matejka's The Big Smoke. We also participated in a series of public events related to Matejka's volume. The project, among other things, gave us a chance to converse about poetry in public utilizing an exhibit format, which will serve as a blueprint for projects with a wide range of students moving forward. In conversations with colleagues toward the end of the semester, I was informed that black men were the demographic that struggled most in their classes. Given what I've observed and learned over the years, I wasn't necessarily surprised. However, I'm realized that my experiences studying poetry and rap with collegiate black men gave me an additional, if not alternative, narratives. In those narratives, the guys were more than simply struggling students. I recall that in back in January when classes were getting underway, a small group of guys who had taken my class the previous semester approached me to offer their condolences after Baraka died. "We know you weren't related to him or anything," one of the guys said. "Still, we just knew that his passing would affect you based on how you talked about him in class. So we just wanted you to know we were thinking about you." They were right; losing Baraka hurt. And I was touched that these young men sought me out to express concern based on a poet we had covered in class. As I think about it, several sometimes unexpected discussions and narratives emerged in 2014 as a result of studying poetry and rap with collegiate black men.